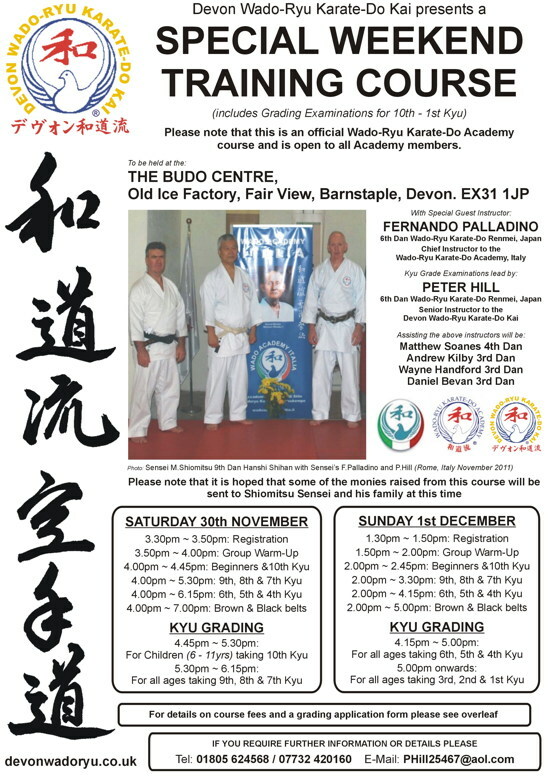 Sensei Arthur Meek 7th Dan, will conduct a traditional Wado Karate seminar at the Farnham dojo on Sunday 20th October. All proceeds will go to Sensei Shiomitsu. Venue is Farnham Memorial Hall, West Street, Farnham, Surrey, GU9 7EE. Start time is 10.30am and it will run for 2 hours. Plenty of parking and all welcome. Cost is £12.50. Those that can’t make it are welcome to make a contribution. Maya Shiomitsu has asked that I upload this important letter with regards to the delegation of training courses and points to the listed Wado Academy instructors across the world.